On Friday, October 21, 2005, the Cape St. George Light collapsed into the Gulf of Mexico. On Monday, December 1, 2008, the reconstructed lighthouse was opened to the public. 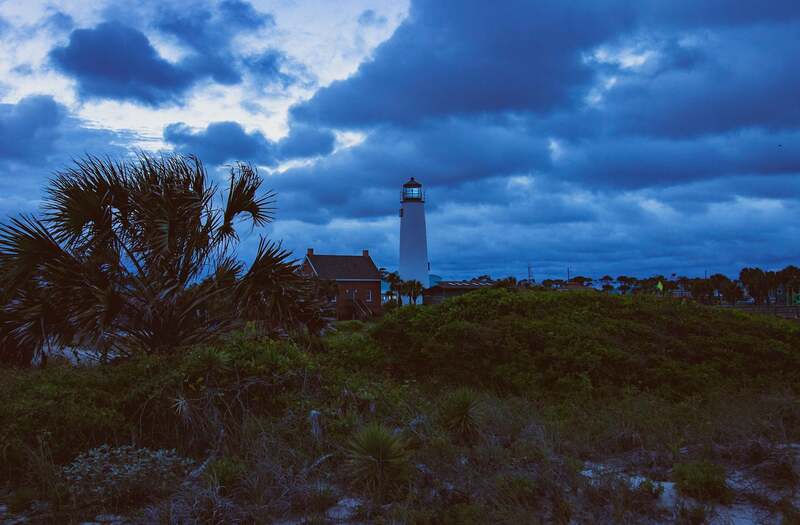 First built in 1833 and rebuilt in 1848 and 1852 on what is now Little St. George Island, the Light finally succumbed to beach erosion and pounding waves. 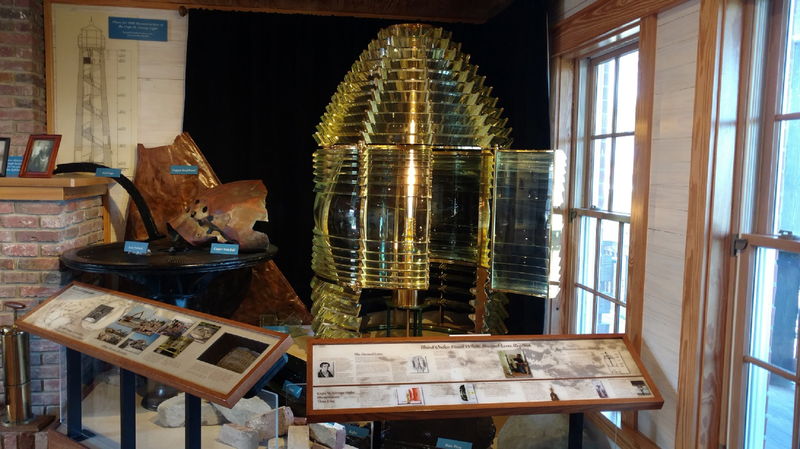 Working with state and federal government support, the St. George Lighthouse Association spearheaded the effort to salvage the pieces of the Light. Volunteers cleaned the mortar off thousands of the old bricks. The original plans were obtained from the National Archives in Washington, D.C. and the lighthouse was reconstructed on St. George Island, using as much of the original materials as possible. Please browse the accompanying pages to read about the Light’s history and to see photos of the Light through the years. Take a look at our volunteer and membership opportunities, and the calendar of upcoming events. And come visit and climb the 92 stairs to the top of the Light. Your continued support of the Cape St. George Light is important to help maintain our historic lighthouse for future generations! 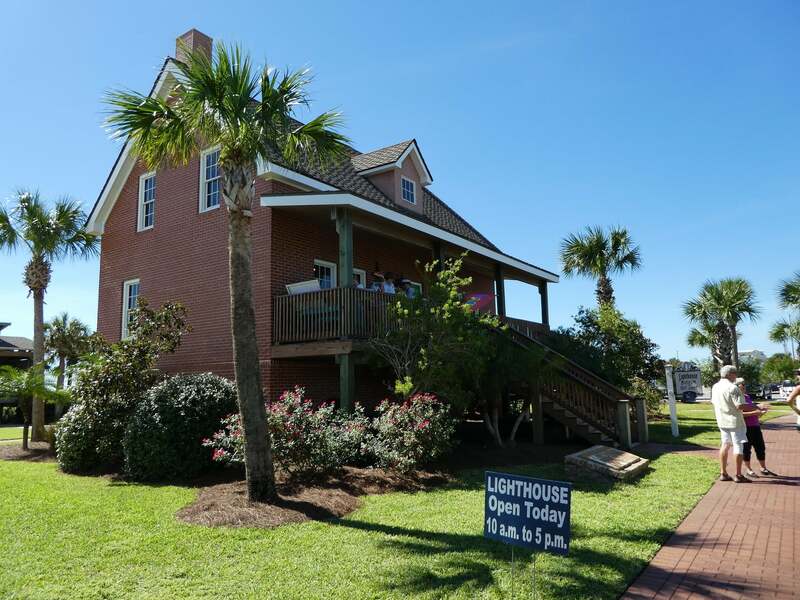 The Cape St. George Light is located at 2B East Gulf Beach Drive, St. George Island, FL 32328.